The consumer is not only looking at the company’s website, but also their social media profiles. Aside from searching websites, the biggest indicator of how a business is doing is by the number of “likes” or reviews left by others. This plays a huge part of the decisions of the prospective client and who they choose to work with. If a company has 16 likes on their Facebook business page and they have been in business for at least two years, this indicates a problem. Social media is a huge part of business today and your social media profiles are a reflection of your work. Social media behavior is something that plays a large part into getting steady business. If the behavior you reflect is crabby, non-responsive, and whiny, chances are your social media following will drop significantly. These days, people are very invested in trying to keep up their business page in a professional manner and forget that people may still follow their personal profile as well. If you are not someone that separates business and personal, make sure you know that people are reading and responding, either amongst themselves or have made a choice not to work with you over something that was posted on a personal page. Sometimes what is not expected is that customers will look up the business owner in search of a personal profile to get a closer look at who they really are. What Are They Searching For Exactly? Honesty: Are they different then what they project on their profile? Respect: Does the company (owner or employees) make negative comments about others on their personal or business pages? Trust: Will this company vent about me if they have a bad day (or if I was a little demanding)? Customers find the information they are looking for online through search results, your company website, and social media outlets. If the customer goes to your Facebook business page and finds your name in the “about me” section of your website, chances are they will search for a personal profile as well. If I saw this from an owner of a company I was choosing to work with, I would think again. that you are closing sales with. Honesty, respect, and trust are all very important when you are a business owner. When negative comments or posts are made online by business owners (or employees for the page owner), it not only shows disrespect for the business but also trickles down to clients and future clients, and employees of the business, and anyone following your posts. It starts at the top, so be sure your business is represented in the best possible way. A consumer wants to put their trust in you to make them feel special; after all they are choosing to hire you. Don’t give them a reason to distrust you by finding vents about what a horrible day you had with a client. What you say on social media sticks and is hard to take back. In a matter of minutes your post can reach hundreds of people. Make sure what you say is always positive and something you wouldn’t be embarrassed about later. 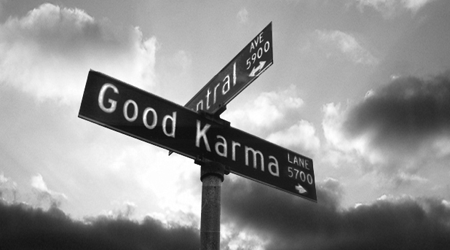 Karma is a Sanskrit word that means the cause and effect from an action or deed. We all know the term, “What goes around, comes around” right? 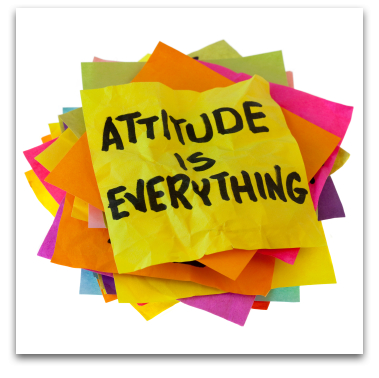 What this means is, what you put out there will come back to you with a positive or a negative effect. In the world of social media marketing there are people that are quick to talk about anything that is on their mind, appropriate or not. This type of loose fingers (since we’re typing, hehe) can get you in big trouble when it comes to keeping loyal followers. Now if you have a gossip/celebrity column or political blog that you are trying to gain followers, maybe you can be more risky with your approach. But overall know your limits on what is said through social media under your company accounts. If you come across negative feedback it’s okay to disagree. But remember that your response will be read by not only that person but by many. So think before you Tweet! Make sure to post at the same times everyday to create a consistent schedule that your followers will grow to recognize. If you drop off the radar for a week, let your followers know that you’ll be out and missing them. They will appreciate that and anticipate your return. If you work hard at creating online relationships with individuals and businesses through meaningful discussions, questions, sharing of content, you will reap the benefits. The thing to remember is that TRUE followers take time to build, it doesn’t happen overnight. I know you take your business very seriously or you would not be reading about how to become a better social media marketer. This is indeed the first step in the karmic path to having a positive outcome for your business. What you put into the business will eventually come back. If you keep up the hard work and stay on top of the newest marketing trends your business will do great! Build a Social Media Following with these 5 Tips! If you are scratching your head staring at the Facebook business page you just started or your Twitter account with minimal followers, these tips can jump start your social media presence. Most business owners just starting out on social media are left confused on how to reach out to people. These are tips that can help you create a long term relationship with your followers. After all, social media marketing is all about interaction and engaging your followers! “Friend” or “Follow” businesses or people that can support your brand and that you can cross promote with. This requires some research but most social media platforms have built in recommendations of who you should follow based off of your business keywords and who you are following. Don’t try to sell your services through social media, sell your “expertise”. Lead them to your website, let your website do the selling! Educate through on-topic discussions, and share meaningful information through images and questions. This is where the interaction comes in, it is THE most important aspect of social media marketing. Share other individuals’ or business’ posts that have a good following. Make sure to tag them according to the social media platform you are using. This will create a relationship with other businesses and they just might share your posts with others as well! I will break down each of these tips into extended posts in a 4 part series for building your social media following. Please follow my blog so that you can be notified when these are posted. I don’t want you to miss out on this series! Please leave me a comment too, I’d love to hear from you! If you have any questions, I can include my answer in my 4 part series. I would love for you to follow my blog! Get email updates of the newest posts!